In November 2018, District voters passed a $14.7M capital bond to connect and protect our local parks. 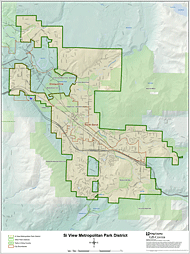 This capital bond measure addresses the recreation needs of our growing community with park land acquisitions for future parks and green spaces, trails connecting neighborhoods to parks and rivers, and improvements to existing parks and facilities to accommodate expanded use. 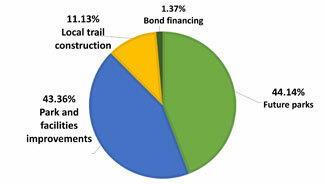 The District will do two rounds of bond sales to generate the revenue needed for the projects. The first round of bond sales in the amount of $8.9M was completed in January 2019, with the second round in the amount of $5.8M anticipated in three years. Staggering the projects and bond sales allows the District the time necessary to provide a product of high quality. It will also allow the District to strategically time project implementation for the best opportunity to match the capital revenue with available grants, collaborative partners, or adjacent development to stretch each bond dollar as far as possible. A conservative timeline for the completion of all projects and acquisitions is four to six years. 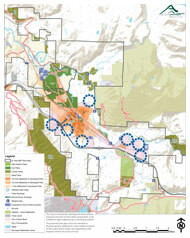 During the 2017 Comprehensive Plan Update, extensive community surveys were conducted and all local resources inventoried identifying gaps in our trails and parks system along with recommended improvements to existing parks and facilities to accommodate expanded usage. District surveys consistently rank parks & open space, and trail connectivity as top priorities for the community. When was the last capital bond issued and how were those funds used? 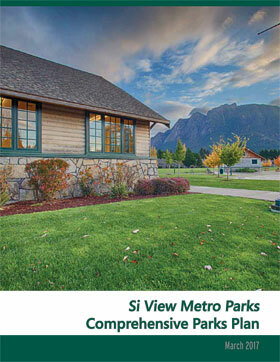 In 2010, citizens passed a $6.7 million capital bond measure for parks. The District leveraged the bond proceeds with grant funding, completing nearly $10 million worth of projects including the Si View Community Center rehabilitation, Si View Park renovation, and Tollgate Farm Park development. Aside from the 2010 Capital measure, previous ballot measures have been to protect and maintain current operation funding levels.